It's That Time Again....Upgrade Your Sound at Music & Arts! Is your student progressing well and enjoying their instrument? If so, now is the perfect time to look at upgrading their current instrument. Whether they are in the band, orchestra, or playing any other instrument, in order for your student to progress at a consistent rate, their instrument must progress with them. In fact, it is perfectly common to upgrade a student's instrument within the first year to two years of learning. Here at Music & Arts, March & April is Upgrade Your Sound Season, a chance for your student to come play and acquire their next level instrument. 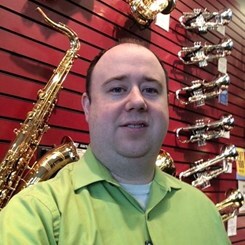 Between our massive in-store events and selection, and our incredible pricing and financing offers, Music & Arts provides many unique ways to assist you in purchasing your students' next level instrument. For more information about Music & Arts Upgrade Your Sound events, follow our store events on the left side of our store page! To register for an appointment to any of our events, simply call us at 972-315-8400, or email lewisvillemgr@musicarts.com! As always, we are here to assist you with any of your musical needs! Please contact us anytime; we would love to help!